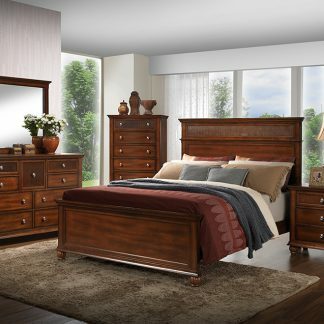 The Monte Carlo Collection features warm finishes and wood detailing to create a beautiful focal point in your bedroom. 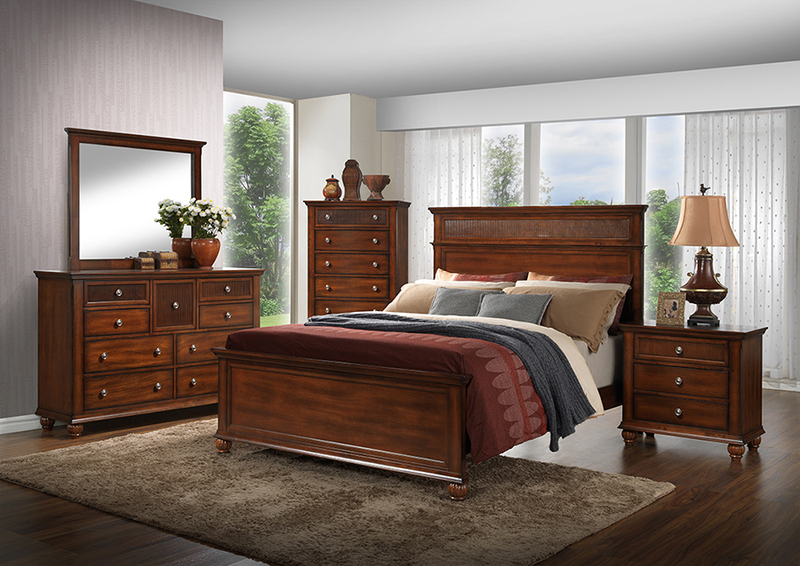 The glossy reddish-brown finish that flows smoothly over the replicated cherry grain will create a warm and welcoming room. 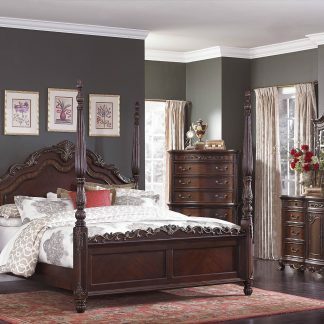 The traditional styled headboard emphasizes geometric balance with its horizontal and vertical lines. 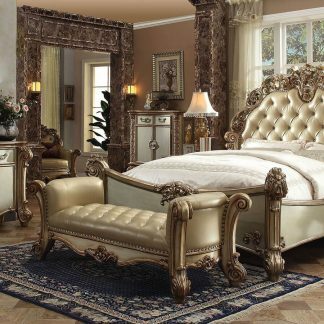 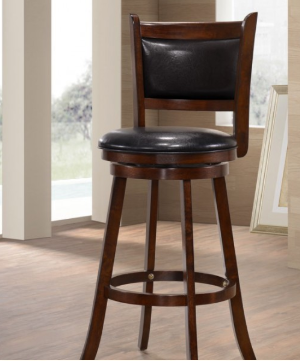 It’s a stylish piece that will complement a variety of room styles and keep you comfortable, day in and day out.